(as of 08/2016) So-called click joints with their different profiling, as a modern development of craftsmen’s tongue and groove glued joints should fulfil one common purpose: Floating laying of flooring elements as easy and glue-free as possible. Also, what is easily interlocked must not detach in an uncontrolled way in normal use. The mechanical joint strength therefore plays a decisive role, not only for product development but also for future standardisation. LVT (LVT = luxury vinyl tiles) floorings is the name given to flooring in the form of planks (modules) with a multi-layer build-up laid as floating flooring, and have been available on the market for many years and generate continuous growth. For a long time, all kinds of different qualities have been arriving in Europe, for example, from the Far East. 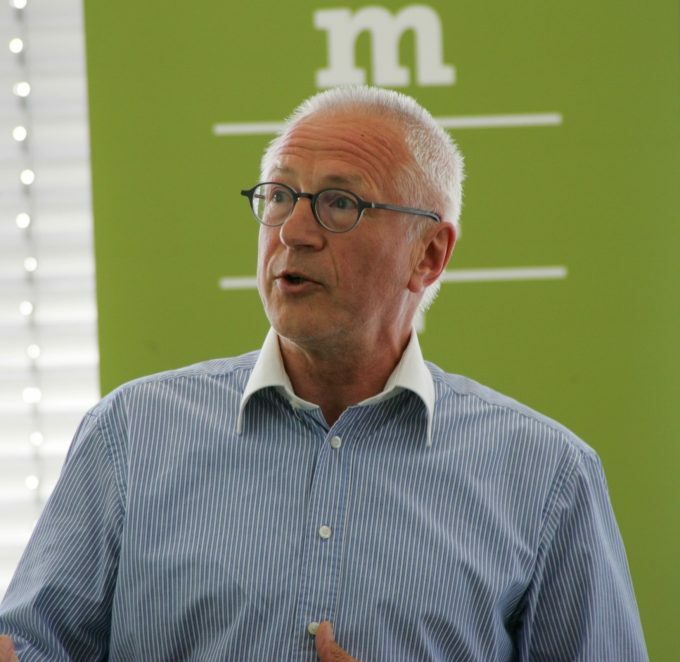 But it was only with the foundation of the European MMFA – Multilayer Modular Flooring Association in 2012, that the industry began examining generally binding quality requirements and the necessary research. One of these complexes concerns the joint strength between the individual modules. The click joints, originally developed for laminate floorings, using wood-based panel substrate (mostly HDF or MDF) have durably proven their worth on billions of square metres. However, a significant proportion of MMF floorings not only have a surface made of resilient thermoplastics – i.e. plastics that can be formed under the action of heat – the substrate layers also have a certain elasticity. In daily use romping children, a jolly good rock’n roll interlude during a house-warming party or the castors of a swivel chair exert considerable torsional and shear forces on the floating flooring. The module joints must withstand these forces in all places, so that the whole floor does not “fly apart” in the true meaning of the word. The objective of the MMFA is to ensure long-term certainty in handling these attractive floorings, not only for flooring layers but also users. Therefore, the MMFA association invests a lot of money in research, and through their research and development (R&D) departments the member companies provide plenty of factual contributions in work groups. Together with the Institute of Wood Technology in Dresden (“Institut für Holztechnologie Dresden” – IHD, www.ihd-dresden.de), the necessary basic knowledge was drawn up first, in order to be able to assess reliably and further develop the quality of the joints in these semi-resilient floorings. The first challenge for the researching engineers was to design a test setup that met the requirements. 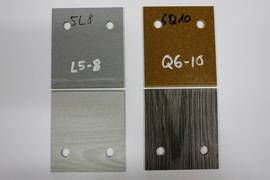 This is based on comparable tests for laminate floorings in accordance with ISO 24334 (Laminate floor coverings – Determination of locking strength for mechanically assembled panels). A test machine for determining the locking strength is set so that the claws or jaws pull apart the defined installed test pieces with a speed of 5 mm/min. This test speed resulted from intensive discussions: The locking strength of rigid click joints, e.g. with HDF substrates, is tested with 0.5 mm/min, welded joints with PVC floorings to be bonded over the whole area with 100 mm/min. Parallel test series showed that for semi-rigid click joints one test speed was too low but the other was too high. If the test speed is too high it is impossible to determine the joint opening and the test accuracy diminishes. Therefore, 5 mm/min appears to be the optimum measurement test speed. Click joints can open under tensile forces, but well designed joints close again after the tensile force reduces. Therefore, the tensile force applied to open the joints is measured twice: Once at a joint opening of 0.2 mm and then on reaching the maximum force under which the joint tears apart. This is the only way to determine whether the joint of the modules is stable under normal use and holds for a long time. Twenty test pieces each of four floorings with different build-ups were subjected to the jointly defined test procedure in eight different laboratories. (4) 4.5 mm thick elements with composite core. These were cut to a length of 100 mm and twice 110 mm width and were conditioned in a room climate of 22 to 23°C with 50% relative humidity. The test pieces fitted together according to the manufacturers’ instructions had to be installed in the test equipment so that no tensional forces were produced. The external strain sensor was then attached. In order to fix all test pieces with an identical initial position, the test modules were first pressed together lightly with 10 N.
The test procedures were then carried out on the joints of the long sides as well as the end faces. 20 test pieces each of 4 floorings with different build-ups were subjected to the jointly defined test procedure in 8 different laboratories. The testing machines were set so that the defined installed test pieces were pulled apart with a speed of 5 mm/min. The statistical coefficient of variation was determined for the test series of each laboratory, which confirmed sufficient coherence of the results. Handling of the test pieces is similar to that in the laminate flooring test. It is technically possible to determine the respective force applied for 0.2 mm joint opening. The chosen test method in accordance with ISO 24334 produces plausible results for the variants with different build-ups. 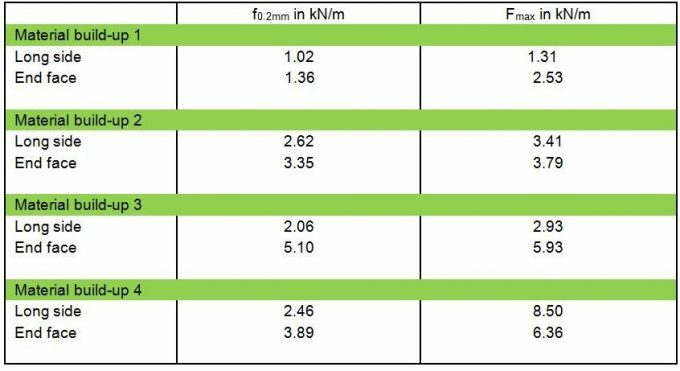 If the joint between the elements has a large clearance fit, relatively large standard deviations result in the test series, especially for the forces applied to achieve the opening F0.2 mm and at increased test speeds. In future own test parameters for each material type laid floating! Determining Fmax at a joint opening of approx. 0.5 to 0.9 mm seems an unsuitable option to the work group. These results and presentation of the accompanying test methods are contributed to the CEN standardisation work (CEN/TC 134/WG 10/PG 2) by the MMFA experts. As prompt consideration of the test series results in the revision of the ISO 10582 and ISO 20326 standards is unfortunately unlikely at the present time, the members’ meeting of the MMFA held at the beginning of May 2016 resolved to publish the test results promptly with a precise description of the test procedure. The intention is to give responsible market participants, including those outside the MMFA, the opportunity to reproduce this test series and to engage constructively in the discussion within the industry.